"Code-switching," or the alternation of languages by bilinguals, has attracted an enormous amount of attention from researchers. 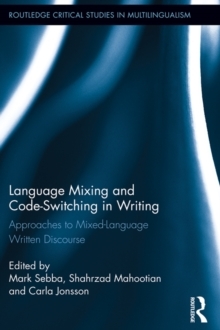 However, most research has focused on spoken language, and the resultant theoretical frameworks have been based on spoken code-switching. This volume presents a collection of new work on the alternation of languages in written form. Written language alternation has existed since ancient times. It is present today in a great deal of traditional media, and also exists in newer, less regulated forms such as email, SMS messages, and blogs. 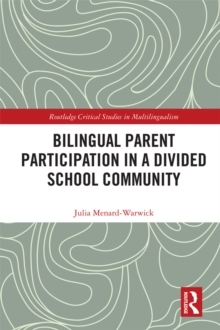 Chapters in this volume cover both historical and contemporary language-mixing practices in a large range of language pairs and multilingual communities. The research collected here explores diverse approaches, including corpus linguistics, Critical Discourse Analysis, literacy studies, ethnography, and analyses of the visual/textual aspects of written data. 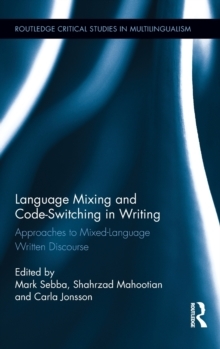 Each chapter, based on empirical research of multilingual writing, presents methodological approaches as models for other researchers. 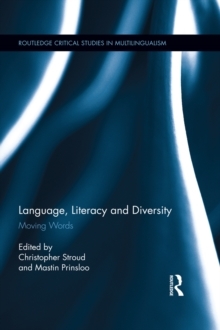 New perspectives developed in this book include: analysis specific to written, rather than spoken, discourse; approaches from the new literacy studies, treating mixed-language literacy from a practice perspective; a focus on both "traditional" and "new" media types; and the semiotics of both text and the visual environment.